Control Desks & dimmers: RoadHog 4, NanoHog 4, ETC Element & Nano. 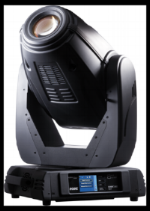 Avolites, Lightprocessor. Artnet to Dmx, DMX splitters, Wireless DMX.